Toxins you put on your body go into your body. All that we are surrounded by eventually becomes a part of us. Our skin absorbs and internalizes 60% of all products we use on it. What we put on our skin becomes a part of us. Do you know the exact composition of what goes into your body every single day when you shower, cleanse, moisturize your skin, and apply mascara and lip-gloss? It all adds up – little sulphate in your shampoo, a little paraben in your moisturizer and little phthalate in all of them- all add up to build considerable amounts of toxins getting into your blood stream. We thought we’d equip you with a quick list that you must watch out for, when buying any personal care products. Why is it harmful? : It has been shown to cause developmental defects and is toxic to reproduction and can also harm the unborn and impair fertility. 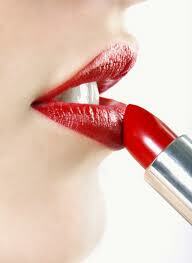 Is your lipstick really safe? Read the ingredients to find out yourself. Why is it harmful? : These are often unlisted ingredients that are irritants and can trigger allergies, migraines, and asthma symptoms and lead to asthma in children. 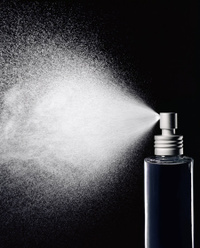 Commercially prepared lotions can be loaded with chemicals. Ingredients will tell it all. It’s a simple equation. We live in a world where we have too many choices. We don’t spend enough time consciously arming ourselves with the knowledge of what’s best for us as consumers. We depend on information fed to us by commercials and fancy words companies use. But would I want this at the cost of my health? TheStoryOfStuff.org : Can’t thank them enough for making such an awesome awareness video. David Suzuki foundation, Canada : A big thank you for all the supporting research. For more information please visit this link to understand how harmful these chemicals can be for you and your family. Categories: Sustainable Living | Tags: cosmetics, David Suzuki, moisturizers for sensitive skin, Natural cosmetics, Natural Mantra, PhthalatesParaben, sensitive skin, suphates, The Dirty Dozen, The Story of Stuff, The story or cosmetics, toxic chemicals in personal care products | Permalink.